Truth by Kbaig: A Crossroad in Pak-US Relations! A Crossroad in Pak-US Relations! 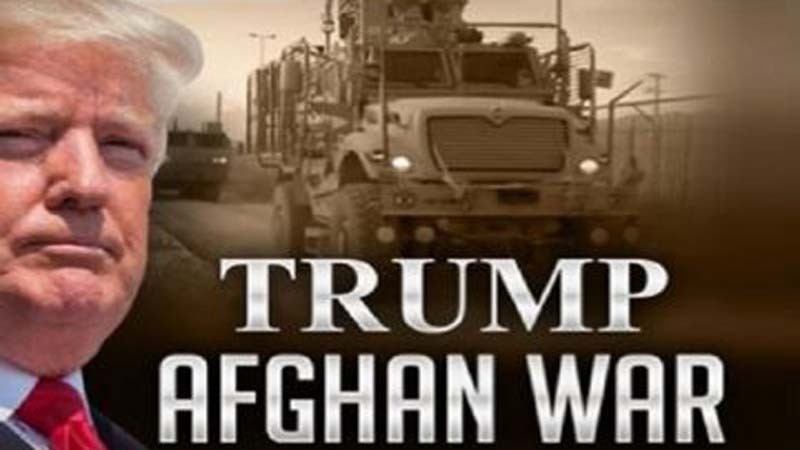 On 20th January 2017, when Donald Trump took the power, American Defense analysts were awaiting that what American President may chalk out a solution for the American problems in Afghanistan. During his Presidential campaign, Trump repeatedly mentioned the problems faced by the USA in Syria and Iraq due to ISIS. In the other words Trump used it as a part of his campaign against Hillary Clinton, sternly criticizing her for the creation of ISIS but in Afghanistan where Americans are losing day by day, he never mentioned it. After being elected as President, it was not possible for Trump to remain silent over this issue. Since January 2017, every month delegation of different status visits Pakistan including members of Congress, Pentagon officials, Generals from American Central Command etc. they all are taken to the tribal areas that were once considered as the strong hold of the terrorists. Americans especially mentioned these areas in their demand for “Do More”. All the American delegations were astonished when they themselves visited Northern Waziristan they had no other option but to acknowledge the success of Pakistan army against terrorists. They were astonished that what special weapons Pakistan have with which Pakistan succeeded in clearing these areas from terrorists. Latest and modern weapons of these terrorists made it impossible that any army can face these terrorists hiding in such narrow mountains. The success of Pakistan army caused further among American Generals who have lethal weapons that may destroy strong concrete bunkers or underground tunnel system but they are failing in Afghanistan. 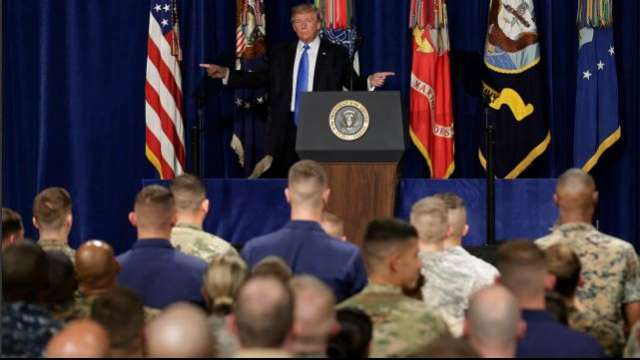 U.S. President Donald Trump announcing his strategy for the war in Afghanistan. In such a situation, American Generals tried to satisfy their public, demanding troops or by alleging Pakistan for supporting the Haqqani Network and Afghan Taliban active in Afghanistan. American Public is asking American Generals that why they are unable to restore peace in Afghanistan despite spending 1.5 trillion dollars in last 15 years. Americans were also worried that their taxes are being wasted in Afghanistan and America is powerless in front of Taliban who is getting stronger day by day. Afghan Public considers Taliban better than Americans for the solution of their disputes. Although America has not chalked out clear Policy about Afghanistan, Pakistan army continued its operation against the remaining terrorists in tribal areas. Along with the operation, the reconstruction of the affected areas was started as well so that the persons who were shifted to safe places before starting operation against the terrorists can be rehabilitated into their homes. In the light of the deteriorating situation in Afghanistan and increasing influence of ISIS, the peace in Afghanistan remains a dream. Therefore, it was inevitable to establish total control over the areas adjacent to the Pak-Afghan border and establish a “Border Management System” in order to stop free movement across the border. Pakistan is also aware that as long as NDS is controlled by Indians, the peace in Afghanistan is impossible. 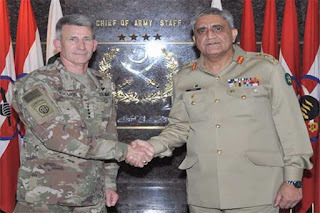 A few days ago General Joseph L. Wotel, Commander American Central Command’s visit to Pakistan was termed as of great importance. In this visit, the issues of Afghanistan along with other regional issues were discussed between the American and Pak army. 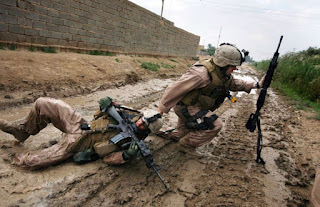 American Senate officials were also taken to those areas of tribal areas, about which American media often express its concerns about the presence of terrorists. Americans also visited the National Counter Terrorism Center where troops are trained for fighting against terrorism. During three day visit, American Senators appreciated the struggle of Pakistan army against the terrorism and termed Pakistan as a “Key Partner” of America. Gen Bajwa tells the world to 'Do More'. Still, the claims of American Commander about Pakistan’s sacrifices against terrorism were echoing that on 22 August 2017, Trump announced his new policy in South Asia. From his style of representing the policy, he tried to pose that his policy will astonish the world and present such a solution which will make Americans proud and Taliban afraid that America has invented such a weapon which they cannot face. 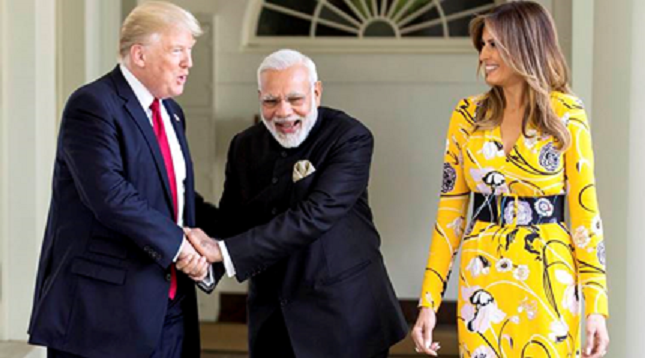 In the speech, it was revealed that American President is speaking the language of Modi and Haseena Wajid. He was expressing his complaints against Pakistan like women do in their quarrel with neighbors that we borrowed you utensils, we borrowed you curry etc. He complained that the USA gave Pakistan thousands of dollars for fighting the American war. He should have disclosed that how much dollars has he deposited in the national treasury of Pakistan? If America discloses the amount of dollars issued to Pakistan from the Coalition Fund she will be ashamed that only few billion dollars were ever issued to Pakistan while Pakistan has already spent the lot more than these bloody dollars of USA and still spending. America stopped a lion’s share of the said coalition fund under the different lame excuses and allegations, bans etc. America is using Pakistan roads from Karachi’s port Qasim to Afghanistan for transport of weapons and other equipment for the American army in Afghanistan. America is internationally bound to pay Pakistan for using Pakistani roads and route and when Donald Trump was threatening Pakistan, the American army is getting its food and equipment via Pakistan. If trump had a little shame, he should have realized that result of failed American policy in Afghanistan is being faced by Pakistan alone. 10000 officers and soldiers have sacrificed their lives in the American war on terror in addition to the 60000 civilians. How can America deny this bitter reality that Taliban are the product of American CIA? Whether it was Usama Bin Laden or other Arab Jihadis, all were invited to America. CIA established Al-Qaeda out of them. As rapidly Al-Qaeda was established in order to target Iraq and Libya it was disintegrated as much rapidly after achieving the goals as well. Pakistan is guilty of the American war of terror because Pakistan was forced to support America in all situations due to Indian aggressive plans. Americans should not forget that after a shameful defeat in Vietnam it was Pakistan who paved way for safe withdrawal of American troops by facilitating talks between USA and China. Otherwise, American soldiers would still have been killed in Vietnam and Americans would have been using drugs as Hippies in order to avoid the reality of being defeated. It was Pakistan who air lifted American leadership on its air line to Beijing as China was not ready to allow American air lines to enter into its aerospace. PIA air lifted American Foreign Minister Henry Kissinger to Beijing and kept such an important visit secret. 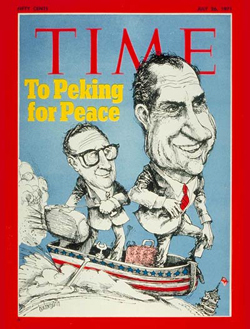 From 9 to 11 July 1971, Henry Kissinger remained busy in meetings with Chinese officials. 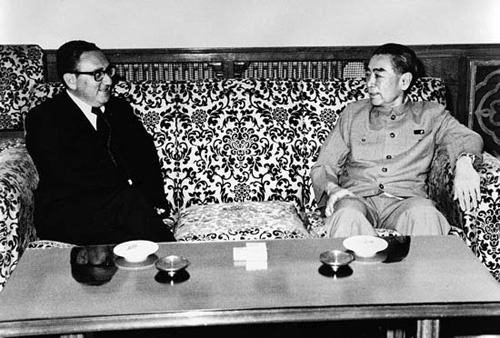 This visit paved way for the visit of America President Nixon’s visit to China in February 1972. When Henry Kissinger returned to White House via Pakistan, this was celebrated as a great achievement. From this world got aware of Henry’s visit to China. American weekly magazine “Times” published the picture of Henry and Nixon on its title page posing them as Columbus who discovered America. Americans celebrated this as they were released from jail before completion of their life term. The compulsory recruitment of every young American to serve in Vietnam was not less than a death term for Americans. 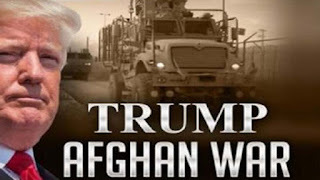 Trump has insulted Afghans by saying that American army is present in Afghanistan not for their social well being but killing all those who will kill Americans. He forgot that this series for genocide in the hands of Americans is going on since 2001 in which more than 1 million Afghans have been killed by Americans. The actual number of deaths may rise to 1.5 to 2 million which Americans and their puppet Afghan govt. is not ready to disclose. Trump did not mention that how he supported ISIS to establish its strong hold in Tora Bora and areas adjacent to Pakistan. This is the same Trump who criticized Hillary for establishing ISIS during his election campaign. Astonishingly, he did not dare to say anything over the Pakistani proposal to construct wall over the border in order to restrict the free movement. The construction of wall over the border is the result of American propaganda going on since American invasion that Haqqani Network and Taliban operate from Pakistan. Now American puppet Afghan govt. and India both are crying over the construction of this wall because their terrorist activities from Afghanistan into Pakistan have been curbed too much extent. How is this possible that American Secretary Defense General Mates (who was deployed as Brigadier in Qandahar and airlifted secretly from Pakistani areas into Afghanistan over the helicopter, even his movement was kept secret from media). Mates remained there for two years and conducted the genocide of Afghans along with Northern Alliance. In the end of 2003, America made the plan to destroy Iraq along with Britain. At that time Mates was promoted to the rank of Major General, he repeated his actions against humanity in Iraq and was termed as “Mad Dog” among American army. In 2004 he was promoted to Lieutenant General. In 2005, while addressing American army he termed killing of Taliban as a hobby. How is it possible that he did not tell his President that according to the written report submitted by American Defense Minister Chuck Hegel in 2011 to American Defense Ministry, it was accepted that India is exploiting her presence in Afghanistan with American support as a second battle front against Pakistan. Afterwards, Chuck Hegel repeated his stance in his address to Oklahoma University as well. It was not allowed to be reported by media for two years. In 2013, American news website Washington Free Beacon uploaded the video of Chuck Hegel’s address. This was reported as a big breakthrough by international media but Pakistan who has been the target of Indian terrorism and this report was in her favor remained silent over it and is still silent. Our Foreign Ministry has more important issues of internal political issues. 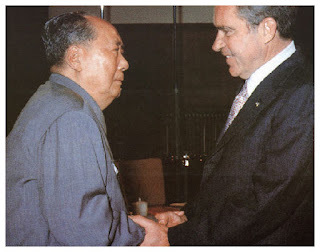 Chairman of the Chinese Communist Party Mao Zedong shakes hands with U.S. President Richard Nixon in Beijing, February 21, 1972. 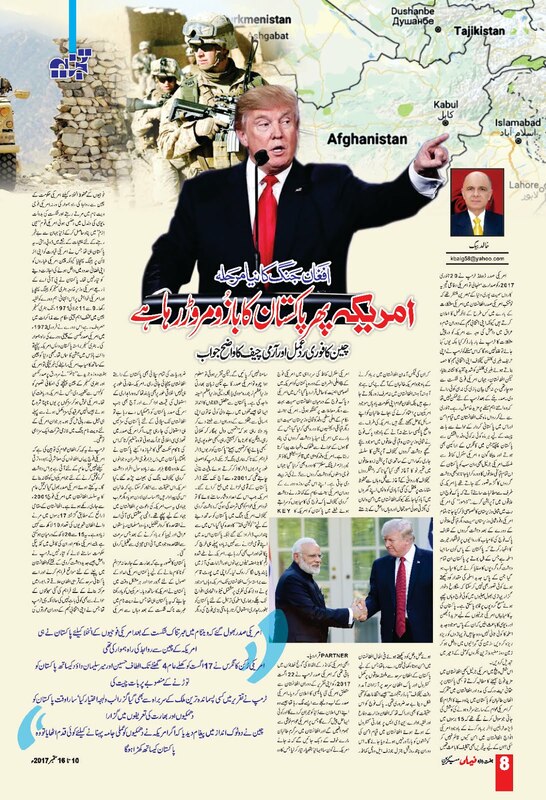 Now American President is asking India to play the further role in Afghanistan he should keep in mind that if this role is for terrorism in Pakistan than he should keep in mind that dirty game of India has ended. Pakistan has faced the damages due to Indian terrorism and will not allow India to play her dirty game of terrorism in Pakistan anymore. If Trump wants Indian soldiers to restore peace in Afghanistan we will welcome them; maybe Indians are more powerful and professionally trained than the 150,000 soldiers armed with latest weapons and having international support. India should also send her troops to Afghanistan on the beck and call of American President, in this way she will be able to fulfill her dream of becoming the Master of South Asia. After Trump’s speech, in which he blamed Pakistan for supporting Taliban but failed to produce any evidence in favor of his allegations while USA has latest space spy system, aerial spy system capable of taking pictures of every inch, CIA which is famous for having the capability of eavesdropping with in the closed rooms with her latest equipment. American Senator Dana Rohrabacher who met with the enemy of Pakistan Altaf Hussein and Mir Suleman Dawood for the disintegration of Pakistan, the goals of this meeting were made viral via the social media. Pakistanis ask American President that how they should justify this meeting. If American govt. says that Dana has met with Altaf Hussein in his personal status, then we would like to make it clear that if he had not been American Congressman, nor Altaf would have allowed him to enter into his house nor Mir Suleman Dawood would have asked him to help for separation of Balochistan from Pakistan. Pakistanis also want to ask US President that whether he is with the Altaf Hussein having goals of disintegrating Pakistan, supporting those forces that are involved in the bomb blasts in Pakistan, killing more than 60,000 Pakistanis, 10,000 soldiers or with Pakistan without whom the USA will have to withdraw from Afghanistan despite her interests in the region? Pakistanis were expecting that Trump who is suffering from the hallucinations that he is the savior of the whole world would talk about the Indian atrocities committed in Indian Held Kashmir but he limited himself only to the praises of India involved in killings of Kashmiris and other illegally occupied states. Trump’s policy for South Asia was nothing more than the threats for Pakistan and praising India. The first and rapid reaction over Trump’s threats to Pakistan was given by China. China rejected American allegations against Pakistan and said that she will stand with Pakistan in all situations. 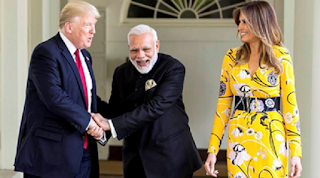 Trump’s praise of India was full of hypocrisy while China clearly gave the message to the USA. Pak-China friendship will stand in all situations. Pakistan is a country who has given great sacrifices in the war against terrorism and still playing the role of front line state. The International community should acknowledge Pakistan’s sacrifices. Not only this, China sent one of the officials of Chinese Embassy Islamabad to meet DG ISPR Major General Asif Ghafoor. This was a special meeting, perhaps China wanted to give a clear message not only to the USA but to Pakistanis as well that if the USA took any step to fulfill her threats against Pakistan, China will stand with Pakistan against America. Obviously, Americans would have understood the clear message of China. Neither Pakistan is alone nor is China acting upon the policy of remaining in different to international disputes as she was in 2001. America thinks that she will succeed in pushing India in the war with China by giving her unchecked role in Afghanistan. This is the result of American demand that India has dared to challenge China over the Bhutan’s border, although China has handled the situation calmly and deployed heavy military equipment giving a clear message to India that any misadventure will teach a lesson to the Indian army. Trump wants India to do more in Afghanistan will create more tension and put Afghanistan in more distrust over foreign forces. In the last four years, the Foreign Ministry of Pakistani has become a weakness of Pakistan on the international level as we did not have a Foreign Minister. Despite the sacrifices of Pakistan in the American war of terror Pakistani failed to present these sacrifices before the world. As soon as Modi came into power he spread the anti-Pakistan statements to the whole world. Wherever he went he created the anti-Pakistan environment. In contrast to this, the visits of our rulers were only for their personal enjoyment and business interests. China has fulfilled her role as a friend but whether it is Iran or Saudi Arabia no Islamic Country has reacted over the threats of USA. On the other day of American President’s threats to Pakistan when American Ambassador to Pakistan visited Qamar Javed Bajwa, General Bajwa made this clear to him that Pakistan neither wants military nor civil aid but an acknowledgment of Pakistan’s sacrifices due to terrorism. He realized that after Afghans Pakistan wants peace in Afghanistan. As Pakistan has faced the terrorism and played the role to end it, Pakistan’s role against terrorism should be acknowledged. He further said that in order to end terrorism there is a need for the mutual trust, however; Pakistan will play its role according to its national interests and policy. The stance of Chief of Pakistan army represents the stance of 220 million Pakistanis which they were expecting from their so-called elected represents. But these elected politicians are busy in looting the country and protecting their illegal money from accountability. Our represents are busy in removing the 62, 63 from the Constitution and political statements while Trump was facing reaction over his anti-Pakistan speech from within America. He was termed as psycho and unfit for the important post of President. They were of the view that if Trump did not leave his fiction and acting over the international problems than he will deliver irrevocable damages to American interests which will be irreversible in the rapidly changing scenario.